Cyclone Evan, 2012. Department of Foreign Affairs & Trade. flickr cc. The Coalition Government’s fifth budget last week was carefully calibrated to offer just enough to a discontented electorate to restart the political contest ahead of the poll expected early next year. 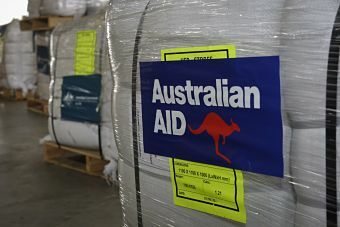 Yet again Australia’s battered aid program took a hit, this time in the form of a multi-year cut, combined with an extended freeze on indexation to inflation – a cut by attrition. This is the same technique being applied to the ABC. But, while attacking the national broadcaster is long-running pet project for the Government’s culture warriors and their commercial media cheer squad, the assault on aid is more puzzling than this, as it is surely self-defeating. Republished from John Menadue’s ‘Pearls and Irritations’.